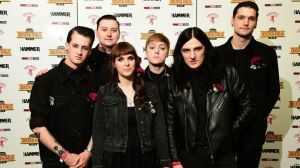 Last night, at Metal Hammer’s Golden God Awards Asking Alexandria beat their rivals in the category Best UK Band. Our congratulations to the band! 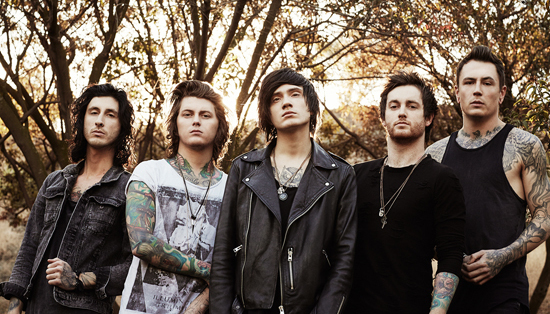 AA’s new album, The Black, landed in the US Billboard Top 10 and UK Official Chart Top 15. Besides, AA’s guitarist Cameron Liddell was celebrating his birthday the same day, June 13. Lindell commented that it turned out to be the best birthday gift he ever got. “I could not be happier, the best birthday present ever,” Liddell told Newsbeat after the ceremony. 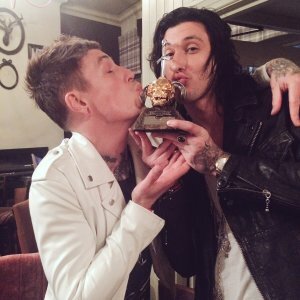 Among the bands you frequently read about on AlteRock, Asking Alexandria was not the only act that took home a prize. Up-and-rising British outfit Creeper was named this year’s Best New Band. Grammy winners 2016, Swedish rockers Ghost, picked up the Best International Band award. they can be extremely proud of themselves, now that they’ve made it on both sides of the Atlantic. It’s worth noting that former Slipknot drummer Joey Jordison was named 2016 Golden God, the award which earlier went to Marilyn Manson and Megadeth’s Dave Mustaine. Golden God Awards took place at a sold-out Eventim Apollo in Hammersmith. The ceremony was hosted by Hatebreed’s Jamey Jasta. All profits from the ticket sales went to Heavy Metal Truants charity, to benefit Nordoff Robbins, Teenage Cancer Trust and Childline.